There are mysteries in this life that leave me often times perplexed. How the newly healed return to ill-mannered behavior. How the professed ‘delivered’ resort to trouble-making. How the resurrected reject a new life to hold on to the former. Yes, it’s all quite puzzling. It appears the second chance God awards in our cries of need are quickly discarded as trash at the first trick of the eye, the onset of a compelling lofty thought or the sleek sly whisper in the ear. 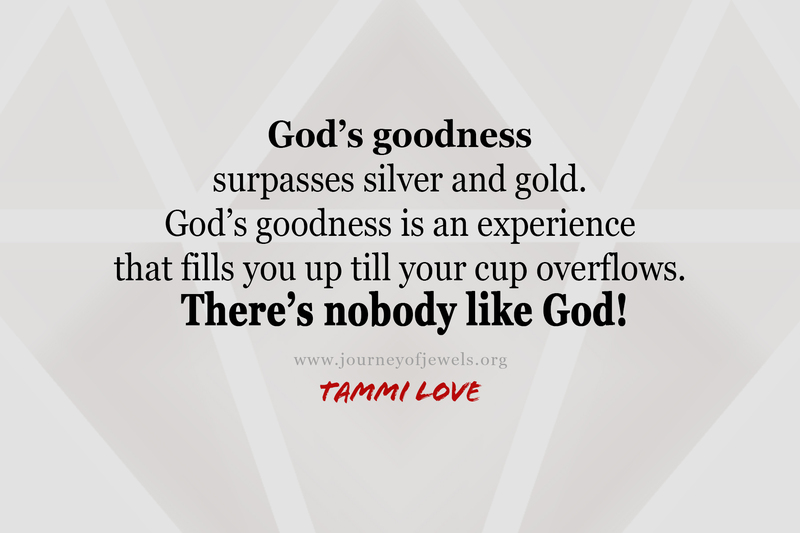 And still, our loving God continues to give. He gives us another chance. And another chance. Are we content with leaving such an ungrateful impression with God? 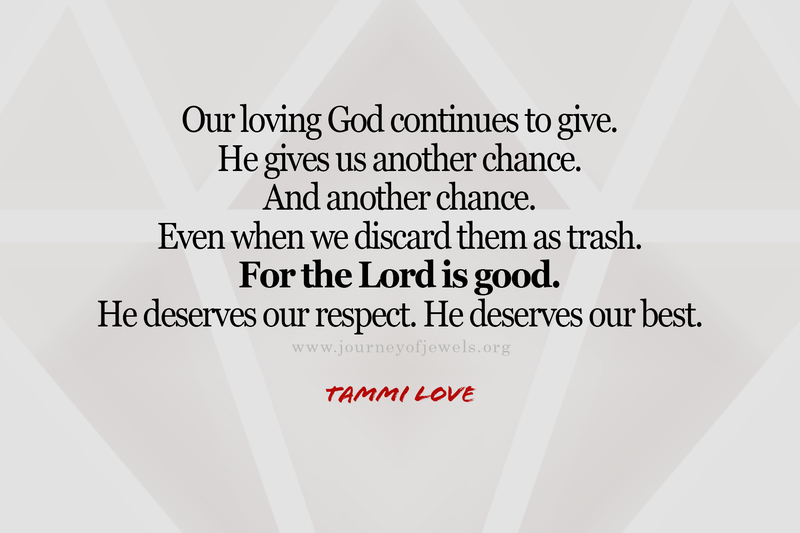 Or is our response to God’s gracious acts, “We deserve them”? Our bold disrespectful behaviors reveal such suggestions. I can hear the ancestors moan in disgust. Was their living in vain? Is our living in vain? Our testimonies are not to be episodic tales we share. Our testimonies must motivate us to live a transformed life, which in turn encourages others to live transformed. For the Lord is good. He deserves our respect. He deserves our best. Just when I think the bustle of life is slowing down, an urgent situation, an uncertain circumstance rolls in and disrupts my vibe. 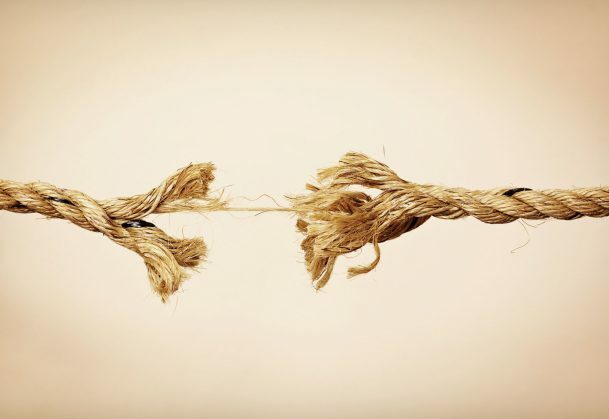 My pretty, wrapped-up in a bow thought processes to set-aside “me-time” or a “mental health day”, quickly dissipates to practically nothing until the next weary moment comes crashing in. As a teenager, I dreamt of my adult years as compartmentalized experiences that would yield a carefree life. Boy, did I get a reality check! My adult years have proven to be a mixture of sorts ranging from indescribable joys, hard-to-handle uncertainties and near-death experiences that have actualized a life I could not have planned for. I dare not complain. Even with its highs and lows, my life is better than what I could think or imagine. So, I press on. My pressing is teaching me to flow with God as He dictates when and where and how. And I’m following His leading, getting what I need when I need it the most. Rather than be pushed away, I feel drawn even closer to God, motivated in a renewed mindset. I am persuaded to live with fervor. I am persuaded to pray with fire. 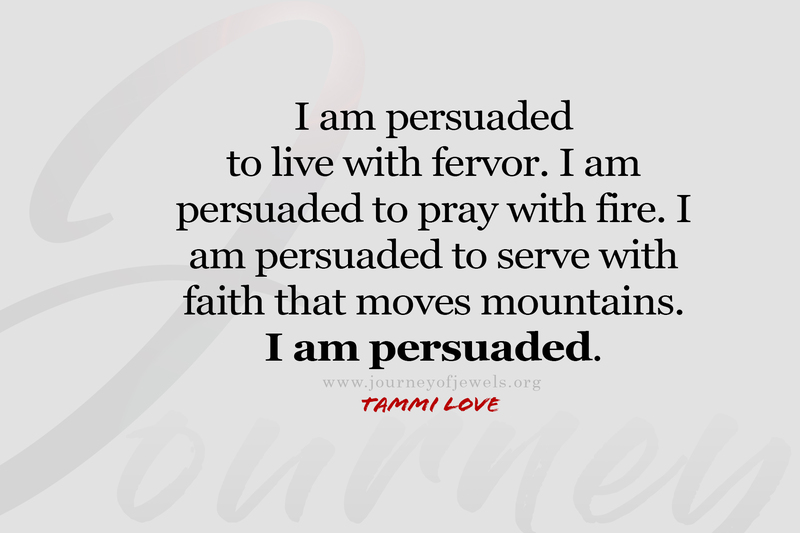 I am persuaded to serve with faith that moves mountains. I am persuaded. The life God has given me persuades me to be an example that points the lost, the broken, the forgotten, the cast aside – to Him. To Him, who saves me from myself. To Him, who is mighty in ALL things. To Him, who is Alpha and Omega. To Him, who bids us all to draw near to Him and find rest. Are you persuaded to begin a renewed walk with God? I invite you to do so today.